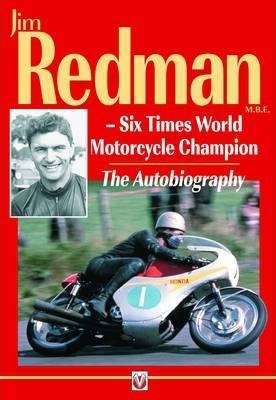 This book tells the incredible rags-to-riches story of one of the worldâ€™s greatest motorcycle racers. From humble beginnings in 1930s London, to winning six world titles, Jim Redman MBE is one of GPs most extraordinary characters, and a true legend of motorcycle racing. After migrating to South Africa, he started his racing career in the mid-fifties, and was awarded an MBE in 1964 â€“Â a year that also saw him win three World Championships in a single day, a feat, to this day, matched only by Mike Hailwood. During the mid-60s, Jim was THE man to beat on track, but a bad crash at the â€™66 Belgian GP ended his racing career. Following this, Jim was involved in a number of business ventures â€“ including helping his two sons with their own successful sports careers, and owning a champion sire race horse â€“ until, in 1995, he once again took up a career in racing as a Classic Racer and Demonstration Rider.